Are you not happy with your smile and facial appearance? Do you want to get rid of those stained and crooked teeth? Then you don’t have to worry, because you can get a new smile and attractive looks with the help of cosmetic dentistry. Cosmetic dentistry includes all those dental procedures that are aimed at improving your facial esthetics and appearance. This is done by restoring the shape, color and alignment of the teeth and gums. Whether you require dental crowns for the cosmetic restoration of your chipped teeth or you need to get rid of your teeth stains, cosmetic dentistry is the solution to all your esthetic problems. What Procedures Are Performed in Cosmetic Dentistry? Professional Teeth Whitening – this is one the most commonly performed cosmetic dental procedure throughout the world. It involves the use of highly effective, yet safe bleaching agents to whiten your teeth by removing coffee, tea or tobacco stains on your teeth. Cosmetic Fillings / Bonding – gone are the days when silver amalgam fillings were the only filling materials available. Thanks to cosmetic dentistry, highly esthetic materials are available which can match the color and shade of your natural teeth, which can be used to restore teeth without disturbing their esthetics. Dental Implants – nowadays, dental implants have become the most widely utilized option for the replacement of missing teeth. This is because of their excellent durability, efficiency, safety as well as their ability to provide a lifelike appearance of the prosthetic teeth. Veneers – veneers are thin shells made from composites or dental porcelain. Veneers are attached to the front surface of prepared teeth, and are used for hiding permanent teeth stains and reshaping crooked and chipped teeth. They are also used for cosmetic restoration of excessive gap between adjacent teeth. Porcelain Crowns – dental crowns prepared from porcelain possess excellent esthetics. Porcelain crowns are cap-like structures that rest over the surface of prepared natural teeth, and are used for restoring the structure of misshaped teeth. They are also used for masking teeth stains that cannot be removed through professional teeth whitening. Bridges – teeth bridges are fixed appliances that replace two or more missing teeth by gaining support and attachment from the existing teeth on the either side. Teeth bridges not only improve chewing and speech efficiency, but they also allow for highly esthetic replacement of missing teeth. Cosmetic Gingival Surgery – excessively long or too short gums can ruin your smile. if you are not satisfied with the exposure of your gums, it can be easily corrected with the help of cosmetic gum surgery. Your dentist will detach your gums from the jaw bone, and re-attach them at the required position where they provide a more natural appearance. In case of advanced gum disease where a lot of gum tissue has already been lost, tissue from the palate or buccal mucosa is grafted to the gums, so as to reduce root sensitivity and to restore the esthetics of the teeth. Gum Bleaching – many people are not happy with the dark color of their gums. In these cases, bleaching of the gums is performed to give a lighter tone and color to the gums. A beautiful smile is awaiting you at Burnaby Square Dental! Our team of highly qualified and experienced dentist will make sure that you get the highest quality dental treatment at our office, so that you can impress people with your good looks and amazing personality. So what are you waiting for? Visit us today and start smiling again with confidence! A crown can be described as the outermost covering of the tooth making up its size and shape. A crown offers excellent protection to the tooth structure. The most popular type of crowns is the porcelain. They are durable, last for a long time and may be replaced like other dental restorations. The colour, shape and size of your teeth are put into consideration when making porcelain crown. When a tooth is broken or fractured. A strongly destroyed tooth is exposed to high risk of fracture, which can cause tooth loss. This is the reason top of a tooth is offered to restore it. For the establishment of a crown, on average it takes two appointments. For the final step, the permanent crown is fitted on the tooth, replacing the temporary crown. The dentist makes any necessary adjustments to the shape, colour and fit of it are in perfect harmony with the adjacent teeth. Each case is unique. The process may vary for you according to the condition of your teeth, and a variety of other factors. The number of necessary appointments with the dentist may also vary. Fixed bridges are better ways to replace any missing tooth. Fixed bridges are non-removable; therefore, a dental bridge is a non-removable appliance. The best type of bridge will be discussed by the dentist. The standard type of bridge is the traditional bridge. Dental bridges last for a long time and are durable. They may only need to be replaced when they become wear. What is the procedure for fixed bridge? The fixed bridge may require the patient to visit the dentist two or more times. The two anchor teeth are anesthetized and prepared by cutting some of their enamel to allow placement of the crown. Then, a high-precision impression (mold) is performed, which will be sent to a dental laboratory that will manufacture the bridge. Besides, the patient will have to wear a temporary bridge for several weeks, until his next appointment. At the next visit, the permanent bridge will be checked carefully, adjusted and sealed for a good anchorage. Your dentist can sometimes temporarily seal the bridge to allow your teeth to get used tissues. In this case, the new bridge will be permanently sealed to a later date. Instructions will be given to you by the dentist after the procedure. Good brushing, flossing and regular dental visits will help extend the life of your permanent bridge. Dental veneers (also called dandruff) are used in the dental makeover framework for improving smile, the aesthetic imperfections, especially at the waist, alignment, shape and colour. This facet is a pure ceramic ultrafine membrane fixed to the visible face of the tooth. Laying facets has the advantage of preserving the healthy tooth structure while improving their appearance (white teeth, perfectly aligned …) natural, reliable and sustainable way. It may, in fact, cut the tooth, removing a thin layer of enamel to allow room for the post of the facet. He then asks “temporary” veneers that will be replaced next week by the genuine facets (porcelain or ceramic), created by dental impressions made before. When the situation allows, the dentist tries not to file the tooth by asking facet directly. The procedure is done without anesthesia, and veneers are made by a specialized laboratory after receipt of dental impression. A denture is a removable dental prosthesis to replace all or part of the natural dentition. There are two main types of dentures. This type of resin prosthesis replaces all of the natural dentition ( maxillary upper and lower). It relies as much as possible on the gums. This type of rigid metal frame prosthesis replaces a portion of teeth: it is therefore based on both the gums and the remaining teeth with the aid of hooks. It is a little more stable than full dentures, thanks to the support provided by the teeth. Partial or complete removable denture allows the mastication. It occupies an aesthetic role, correcting sagging jaw and mouth and facilitates phonation: including pronounce the consonants “dental” (d and t), which require that the language bears on the teeth. Before considering any dental surgery, your specialist will conduct surveys and studies on your jaw, your nerves, your sinuses, and all the bony part of around the area where the intervention will happen. In some cases, your dentist also will make your scanner to best determine your bone structure. Obviously, any source of infection, inflammation or other problems being discovered on the part to operate will be treated before considering the replacement of teeth. The laying of artificial teeth is done as an outpatient. You can set this by clinic or office of your dentist. Depending on your level of anxiety, the intervention will be done under local or general anaesthesia. There are two ways to perform the procedure. 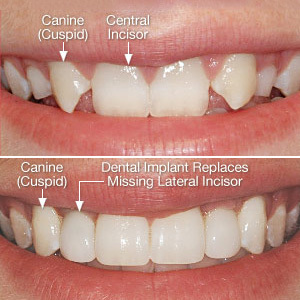 The first cut in two stages: First, the placement of the implant and a few weeks later, the installation of the pillar, the pillar being the pole that connects the artificial tooth to the artificial root. The other alternative is to place the implant and abutment at once. When healing is complete, you have had the procedure in 1 or 2 steps; your dentist is going to make your tooth with your fingerprints. Sometimes several visits are necessary to find the right match and / or to make adjustments. You will likely experience some unpleasant effects related to the intervention. The most common discomforts are pain, swelling and bruising. You will also need to be very observant about the load you will allow your implants to bear as it should be minimal during the healing process (between 4 and six months). That said, these inconveniences are nothing compared to the pleasure you will have after this operation. In the world of dentistry today, dental implants are the preferred choice for getting replacement teeth, and are equally popular with the patients as well as the dentists. Have you ever thought why implants are so popular for replacing your missing teeth? This is because of their superior esthetics, convenience and comfort in comparison to other tooth replacement options. An implant is basically a replacement tooth root made of a titanium metal post which is carefully screwed into the jaw bone. The bone actually merges into to the metallic post making a natural bond with it and providing a very strong root on which a tooth crown can be attached. Not only single teeth, but multiple teeth, and even a complete denture can be supported by two, four, or where required, a greater number of implants. Implants owe their popularity to many reasons, top five of which are given below. Roots of your natural teeth are firmly anchored in the jaw bone. The implant has a similarly strong anchoring in the jaw bone. The titanium screw undergoes osseo-integration, a natural process by which bone cells grow around the metallic surface of the implant. This makes a structure as strong as the natural tooth root. Any crown or denture placed on this root will be as good as a natural tooth. The metallic structure is totally below the gum and invisible, and a very natural looking crown placed on this root will serve just like a natural tooth. Implant supported teeth will permit you to eat, speak and smile just as you would have with your natural teeth. Owing to the osseo-integration of the implant with the jaw bone, the implants actually become a part of it. Given normal hygiene practice and dental care, the implants can be expected to last a lifetime in most cases. No other restoration offered by dental technologies today offers that long in a lifetime. Bone loss will inevitably follow tooth loss. All restorations other than implants cause further loss of gum tissue and jaw bones to a greater or lesser extent. This process is called bone resorption, which cause some facial features to shrink and distort. Implants not only protect against bone loss but actually promote bone growth in the form of osseo-integration. This is a unique advantage of implants. Implants have no absolutely no effect on the health and strength of adjacent natural teeth. All other forms of tooth replacements will have an effect of weakening the adjacent teeth. As an example, a bridge must take support from a healthy tooth on either side. These supporting teeth have to be trimmed to receive the attachments. Thus these natural teeth also get weakened. Implants are supported by the jaw bone like natural teeth, and do not endanger or weaken other teeth. Dental implants are stand-alone tooth replacements that don’t rely on support from adjacent natural teeth and do not weaken the adjacent healthy teeth. Conventional dentures and bridges need special care. Dentures have to be removed at night and kept in a special soaking solution. If that is not done the denture will shrink and fit no more. Dentures may need special creams or adhesives- implants need no such care. Implants will also be free of caries and subsequent need for fillings and root canal treatments. Implants cannot stop gum disease but normal hygiene practice and regular inspections will take care of that. Thus caring for implants is as easy as for your natural teeth. 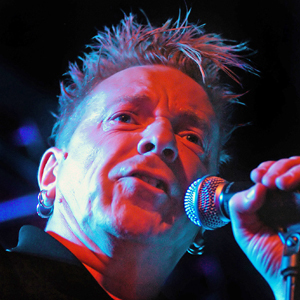 Are you now thinking of saying goodbye to your old dentures? That’s a very good idea! Visit us at Burnaby Square Dental so that we can guide you regarding the possibility of getting your missing teeth permanently replaced with dental implants. The term Laser Dentistry is an efficient and precise way for performing most dental procedures known today. The ability of the dentist to control the power output and the level of exposure helps to achieve an improved dental procedure. The dentist should direct the therapy on the particular area, whether the tooth or the gum and avoid damage to the surrounding tissues. Laser dentistry may be of great benefit to patients who are always anxious during a dental visit and who may want to achieve extreme comfort and safety. Laser dentistry technology can be used to achieve a minimized recovery time and also to reduce the level of pain in patients. Some laser dentistry procedures do not require anesthesia and, therefore, the patient does not need to be numb before the procedure. Laser dentistry procedures do not require the use of stitches or sutures. There is a minimized damage to the surrounding tissues of the site of the procedure. The site of the procedure is sterilized by the high-energy beam which means the possibility of bacterial infection is reduced. With laser dentistry procedures, wounds heal faster and also tissues regeneration is faster to achieve. Blood coagulation or clotting is enhanced in laser dentistry procedure which inhibits blood loss. The use of laser therapy in the dental industry has opened a lot of ways for some dentists to perform procedures in a significant number of ways which they cannot do without laser dentistry. With laser dentistry, dentists can perform any dental procedure without assistance. Cavity Detector: The by-products produced by tooth decay plays a significant role in the detection of cavities. This is what the dental laser reads in detecting cavities. Dental Fillings/Tooth Preparation: The need for a local anesthetic agent is eliminated with the use of hard tissue dental lasers. With hard tissue dental lasers, the traditional dental drill no longer has value. Lasers also help in the elimination of bacteria found in the cavity. However, dental lasers cannot replace onlays, amalgam fillings, and crowns. This is because it is not appropriate. Tooth Sensitivity: Dental lasers are used in sealing tubules found in the root of the tooth that enables the tooth to respond to the hot or cold sensation. Crown lengthening: Dental lasers can reshape gum tissue and bone. Soft tissue laser is used for gum tissue while hard tissue laser is used for bone tissue. When this is done, a healthier tooth structure is achieved. This is called crown lengthening. One of the aims of this procedure is to achieve a stronger foundation for placement of restorations. Dental implant FAQS, know before you go for it. What exactly does a dental implant mean? An implant is a device placed inside your body to maintain the functionality. A dental implant is, obviously, the replacement for your missing teeth. It is a small screw-like structure made of titanium element which is highly bio-compatible. Meaning, your oral tissues will not reject it and thus the implant will be a success. It takes a surgery to place the implant inside your jaw bone. After a while, when the bone has fused with the screw, the artificial teeth are placed over it, matching in colour to the other teeth. Once it is done, you will never know you have artificial teeth in your mouth! Most people can get an implant placed successfully. However for detailed analysis of your bone structure make sure to contact an implantologist. He or she will take x-rays of your jaws and only then can they decide whether you should go for the implant or not. Implants are a tad more costly as compared to the conventional dental treatments used for replacing missing tooth. The bridges and dentures will need constant maintenance to suit your changing bone structure. Implants on the other side, expensive as they may be, are a long term investment since they don’t need replacements. So, in the long run implants score over them. Should I fear the surgery? Definitely not. All dental procedures will be done under local anaesthesia. And to avoid post treatment swelling, pain and infection, medications are prescribed. Just follow the post operative instructions carefully. It may take anywhere between 45 mins to an hour. But it largely depends on the number of implants you need. Also, long appointments are avoided for medically compromised individuals. What if I have a compromised bone density or structure? You may need another surgical procedure in which a bone like material is placed in the areas lacking the width of bone required for an implant. It’s called bone grafting. Once the bone heals, it’s ready for the implant. When will I get my tooth restored? Once the implant has fused well with the bone, the artificial tooth can be attached to it. The best estimate will be provided by your implantologist depending on the condition of your bone. In the meanwhile you may get a temporary set of teeth. However, if you get an infection due to poor maintenance of oral hygiene it may take months before your teeth are placed over the implant since the implant will not fuse with the bone in such conditions. Like you care for your natural teeth. The regular brushing and flossing will suffice. Don’t forget the regular dental checkups though. It will definitely outlast any other conventional treatments if taken care of properly. Most insurance companies cover the cost partially if not completely. Just ask your insurance provider for the details of your insurance policy. 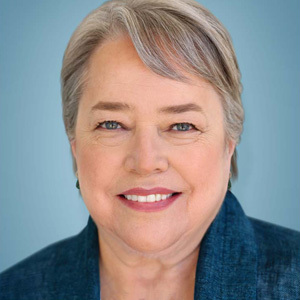 In her decades-long career, renowned actress Kathy Bates has won Golden Globes, Emmys, and many other honours. Bates began acting in her twenties, but didn’t achieve national recognition until she won the best actress Oscar for Misery — when she was 42 years old! “I was told early on that because of my physique and my looks, I’d probably blossom more in my middle age,” she recently told the Dear Doctor magazine. “That has certainly been true.” So if there’s one lesson we can take from her success, it might be that persistence pays off. By holding the teeth in place, retainers help stabilize them in their new positions. They allow new bone and ligaments to re-form and nature around them, and give the gums time to remodel themselves. This process can take months to years to be complete. But you may not need to wear a retainer all the time: Often, removable retainers are worn 24 hours a day at first; later they are worn only at night. We will let you know what’s best in your individual situation. When you look at the top row of a normal smile, you’ll see symmetrical pairs: the central incisors in the middle, flanked by the lateral incisors and the canine (or eye) teeth on the outside of them. Sometimes, though, teeth may not form as they should: in fact, it’s one of the most common congenital defects with one in five people having missing or deformed teeth, often the upper lateral incisors. In the latter case, it’s not uncommon for the eye teeth to drift into the missing lateral incisors’ spaces next to the central incisors. This creates a smile even a layperson can tell is off. There is a way to treat this with orthodontics and cosmetic dentistry that will transform that person’s smile while restoring better mouth function too. It’s often a long process, however, that’s best begun early and must be precisely timed with dental development. Using braces, we move the drifted teeth back to their proper positions, which will make room for a future dental restoration. It’s usually best to begin this treatment during late childhood or early adolescence. The next step is to fill the newly-created space with prosthetic (false) teeth. Dental implants are an ideal choice since they’re durable and lifelike, and won’t require permanent alteration of adjacent teeth. They do, however, require a certain amount of bone volume at the site to support them; if the volume is insufficient, we may have to place a bone graft to stimulate new growth. It’s also best not to install implants until the jaw has finished development, usually in the late teens or early adulthood. In the interim between tooth repositioning and implants, we can customize a retainer or other removable appliance with a false tooth to occupy the space. This not only enhances the smile, it also prevents the repositioned teeth from drifting back. You might think David Copperfield leads a charmed life: He can escape from ropes, chains, and prison cells, make a Learjet or a railroad car disappear, and even appear to fly above the stage. But the illustrious illusionist will be the first to admit that making all that magic takes a lot of hard work. And he recently told the Dear Doctor magazine that his brilliant smile has benefited from plenty of behind-the-scenes dental work as well. In Copperfield’s case, the teeth were repaired using crown restorations. Crowns (also called caps) are suitable when a tooth has lost part of its visible structure, but still has healthy roots beneath the gum line. To perform a crown restoration, the first step is to make a precise model of your teeth, often called an impression. This allows a replacement for the visible part of the tooth to be fabricated, and ensures it will fit precisely into your smile. Its exact shape and shade, a well-made crown matches your natural teeth so well that it’s virtually impossible to tell them apart. Subsequently, the crown restoration is permanently attached to the damaged tooth. It’s also a prime food for oral bacteria that cause dental disease. 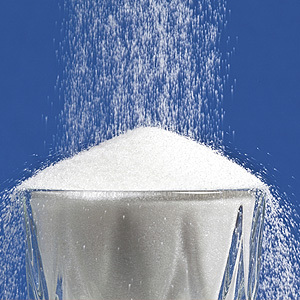 As the bacteria consume sugar they produce acid as a byproduct. Acid softens and dissolves the mineral content in enamel, leading to erosion and the formation of cavities. While saliva normally neutralizes acid after we eat, constant snacking and higher quantities of sugar in our food make it difficult for it to control or neutralize acid in the oral environment. Because most of us are hard-wired with a “sweet tooth,” it’s difficult for many to cut back on sugar. Artificial sweeteners help reduce the amount of sugar in the diet with obvious benefits for general health. It can also make a big difference in your dental health by helping you prevent tooth decay. One alcohol, sugar may even go a step further. In addition to reducing the presence of sugar in the mouth, Xylitol (found in chewing gums, candy and breath mints) also seems to reduce bacterial growth by interfering with their ability to ferment the sugar. If you’re considering using an artificial sweetener, get to know them first: some like aspartame aren’t suitable for baked goods or cooking, while saccharine or sucralose are. People with a rare genetic condition called phenylketonuria also can’t properly process aspartame in the body. Be sure you also talk to us about artificial sweeteners’ impact on oral health, especially the benefits of Xylitol for dental care. Used in a wise and informed way, these sugar alternatives can improve both your oral and general health. Like natural teeth, dental implants get support from the bone in your jaw. The implant itself — a screw-like titanium post — is inserted into the jaw in a minor surgical operation. The lifelike, visible part of the tooth — the crown — is attached to the implant by a sturdy connector called an abutment. With time, the titanium metal of the implant actually becomes fused with the living bone tissue. This not only provides a solid anchorage for the prosthetic, but it also prevents bone loss at the site of the missing tooth — which is something neither bridgework nor dentures can do.